Welcome to our web site. Please review the training courses that we offer and consider hosting a training class at your agency. 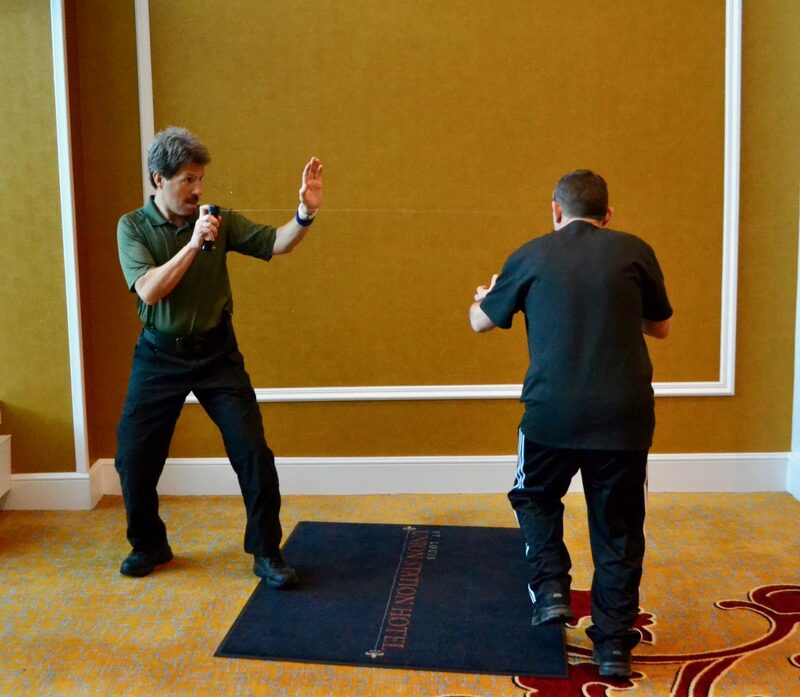 We offer instructor classes and training material that meets the needs of law enforcement and private security. The PR-24 Police Baton is a tool to used as offensively weapon. It is excellent for applying take downs and control holds. The blocking surface to very adequate to protect against strikes with A bludgeon weapon. The PR–24 is often used as a riot control instrument. In later times it was produced as an expandable Baton which gives it better ease to carry on your belt. Our instructor course teaches you how to use it in tactical simulations and how to present the training in the classroom. 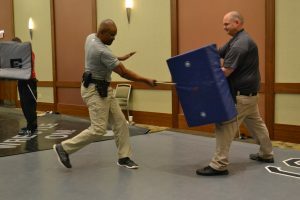 The defensive tactics and control techniques instructor training program gives an officer the basic needs to defend him/ herself while carrying out their duties. It also trains an officer how to handcuff and overcome resisting subjects. 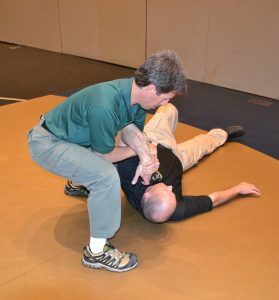 These techniques are recognized as the state of art defensive tactics for arrest and control. 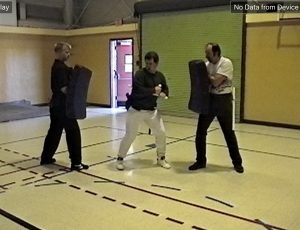 As an instructor you can teach others in the defensive tactics and control techniques program. 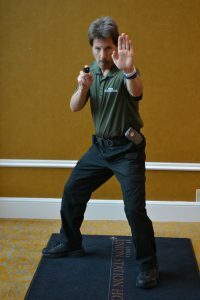 The expandable baton instructor training course covers the complete spectrum of the straight batons from expandable to rigid. The techniques are easy to learn and effective. Since the space on the officers’ duty belt is become smaller, there is a need for a lighter baton to perform as an impact weapon. 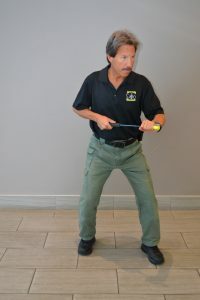 The expandable baton can also be used for control techniques. 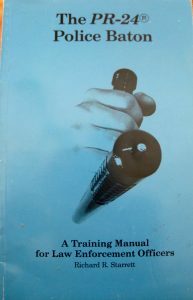 The training course covers all brands and makes of batons. 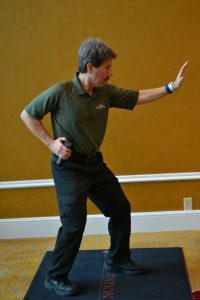 Once trained as an instructor, you can teach others in the uses and concepts of the straight baton. Traffic control is a very important task. Police departments over the country are being strapped with budget restraints. This opens the door for more private security companies to direct traffic at shopping malls and special events. This course is designed to teach the student proper way to direct traffic, understanding the elements of intersection control, the use of the police whistle and how to set up roadway flares or traffic cones to channel traffic. 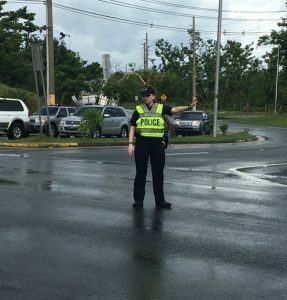 During the training each student will demonstrate their ability to direct traffic using hand gestures and the flashlight. If the student successfully completed the testing process, he/she will receive a certificate of achievement. OC pepper spray is essential for officer safety. Officers should be properly trained in any restraint option that requires physical skills and other critical information. That is why it is very important to have a documented training from a professional certified instructor. To help you understand the importance of controlling a subject, we use practical application techniques. To assist instructors to be more effective teachers, we covered instructor development in our course. Upon completion of this course Officers will be able to teach others how to use OC pepper spray. This course is a generic course and is not product based. You can use the OC aerosol canisters issue to your department personnel, regardless of the brand-name. The PR-24 with Art Sapp & Bobby Dyer, Jr.
Larry Smith is a retired lieutenant with the San Diego Police Department. He served 34 years as a commanding officer and academy instructor. He has many certifications for training in aerosol weapons, defensive tactics, traffic control, expandable baton and the use of the PR-24 baton. The last 50 years he’s been training and providing services for law-enforcement agencies worldwide. He has written three textbooks on police training and provides them for those who use his instructor programs. He has a tiered instructor program consisting of master instructor, senior instructor and basic instructor. 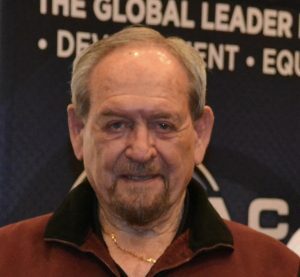 He served on administrative boards for ASLET, the International Law-Enforcement Educators and Training Association (ILEETA) and the Monadnock Training council. He provided training at national seminars for the past several years. Medical Center of Southern NV.